Manufacturer of a wide range of products which include canning retort line, gherkin can line retort, retort basket, jar or bottle washer and media heating & gravity filling system. 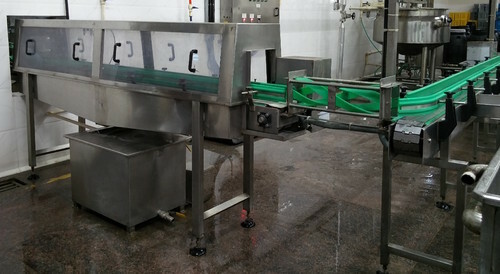 Sujay Produces wide range of Gherkin Canning Retort Line. Mainly used in gherkin and food processing industry for packing and exporting gherkin with vinegar media solution in can,bottle or jar to increase the self life of the product like pickles. 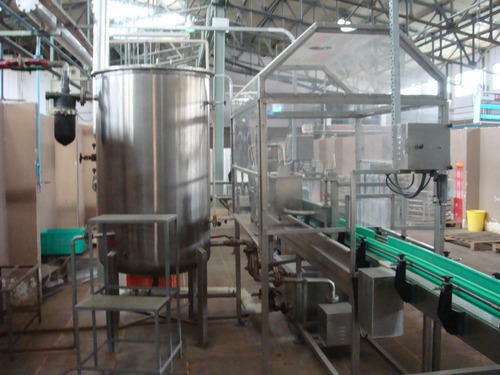 We are into offering a wide array of Gherkin Canning Retort Line which is widely demanded by the clients for their availability in different specifications. Highly acclaimed these Gherkin Canning Retort Line are widely demanded all across the world for their precise use. Moreover, to meet the needs and requirements of the clients we test the quality of these products rigorously. Being perfectly shaped and swift movement of our organization, we are instrumental in offering a qualitative range of Gherkin Can Line Retort. 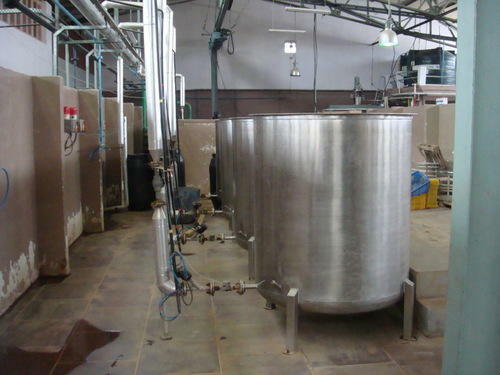 It is used for heating the products in can or Bottles about 85 degree temperatures for 18 minutes for Preservative of Gherkin, Fruits & Vegetables. The offered line is designed by our professionals in compliance with industry quality standards. Our provided line is manufactured using the latest technology, innovative machines and the finest raw material. Moreover, this line is tested on various stringent parameters to ensure its durability and quality. We Provide Overhead Electrical Hoist for handling Retort Basket. 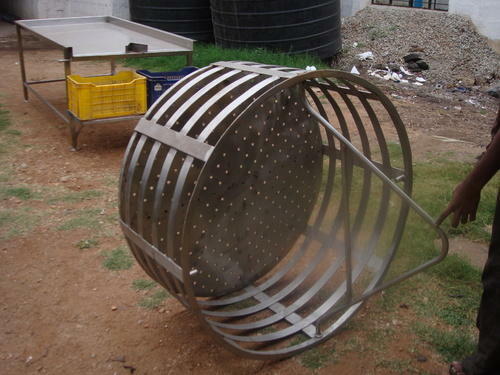 It is mainly used for loading and unloading of Retort Basket for heating in Retorts and for cooling in cold-water tank and then it is moved to packing section for further processing. Total arrangement made to suit to the customer requirement. Easy for handling & easy to use. We are into offering a wide array of Jar or Bottle Washer which is widely demanded by the clients for their availability in different specifications. Highly acclaimed these Jar or Bottle Washers are widely demanded all across the world for their precise use. Moreover, to meet the needs and requirements of the clients we test the quality of these products rigorously.We manufacture and supply to Gherkin, food, vegetable, fruit, frozen processing plant for washing Jar or Bottle before product and media filling.We manufacture as per the customer requirement, capacity, avaiable in SS 304 and SS 316L food garde steel.We offer wide range of machine at a very reasonable price. We are into offering a wide array of Media heating and Gravity filling system which is widely demanded by the clients for their availability in different specifications. mainly used in Gherkin Jar,Bottle, Can proessing industry.Highly acclaimed these Bottle Washers are widely demanded all across the world for their precise use. Moreover, to meet the needs and requirements of the clients we test the quality of these products rigorously. 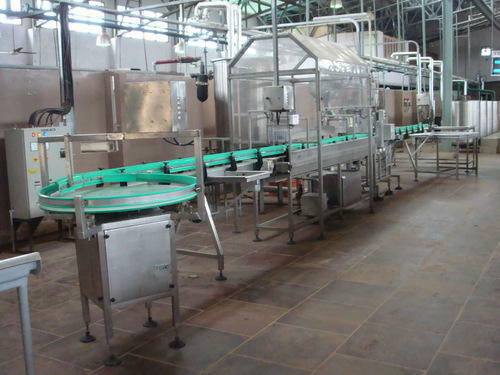 Looking for “Gherkin Canning Line Processing Machinery”?